Once upon a time there was a camel who was very high and all the little animals made a lot of fun of him. They would pull his leg all the time by asking him, ” Dear Mr. Camel, how is the weather up there ? Is it cold ? ” They said this because as you know the higher you climb the colder it gets just like the top of a hill or a mountain. The camel would sometimes get irritated when the animals poked fun at him and say, ” Why don’t you ask the giraffe ? He is even taller than me ! ” But the animals would only make fun of him. They thought that the camel was a really funny looking creature. He was very tall and had, what looked like a big cushion, sitting on his back . When he walked it looked like that two teams were playing tug of war inside him. 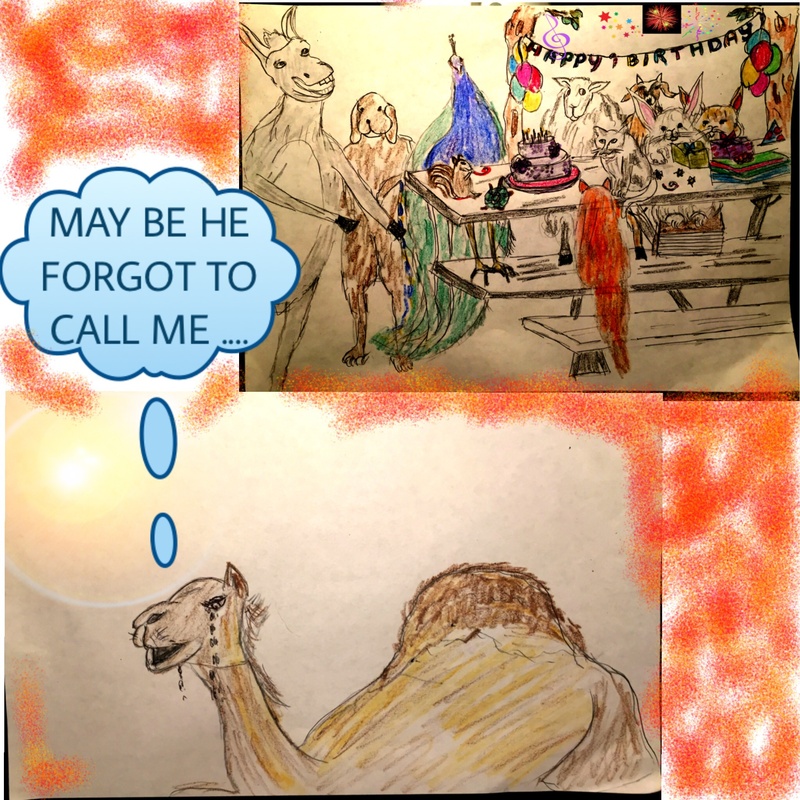 Not only did the animals make fun of the camel they also did not call him for any of their parties. They thought he was too large, too awkward and too ugly. Of course, had they seen a hippopotamus or a rhinoceros they would have not thought so but they only knew the camel, so they treated him very badly. 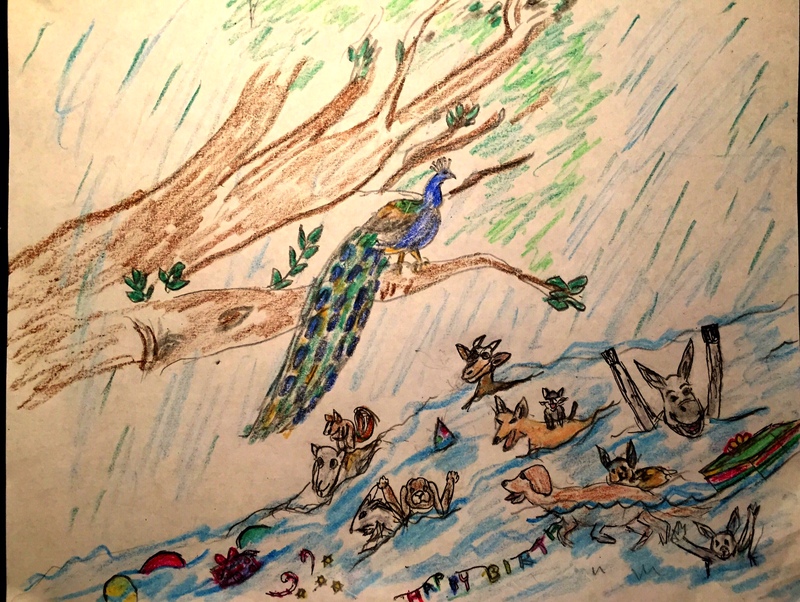 One day the beautiful peacock decided to throw a party for his birthday. He invited all the animals but told them not to tell the camel. The camel heard the animals whispering and knew there was going to be a party and as usual he was not going to be invited again. Poor camel he wept and he wept and fell off to sleep. When he got up a storm had come. The clouds were thundering and the rain was falling and falling and falling. There was water everywhere and the river was rising. The peacocks’ party was a complete washout. Everything was floating away. So were his guests. They were all floating in the water trying desperately to stay afloat. The clever peacock quickly flew up and sat on the branches of the tree leaving his guests to fend for themselves. The animals were shouting for help knowing that when they got tired of kicking they will surely drown. 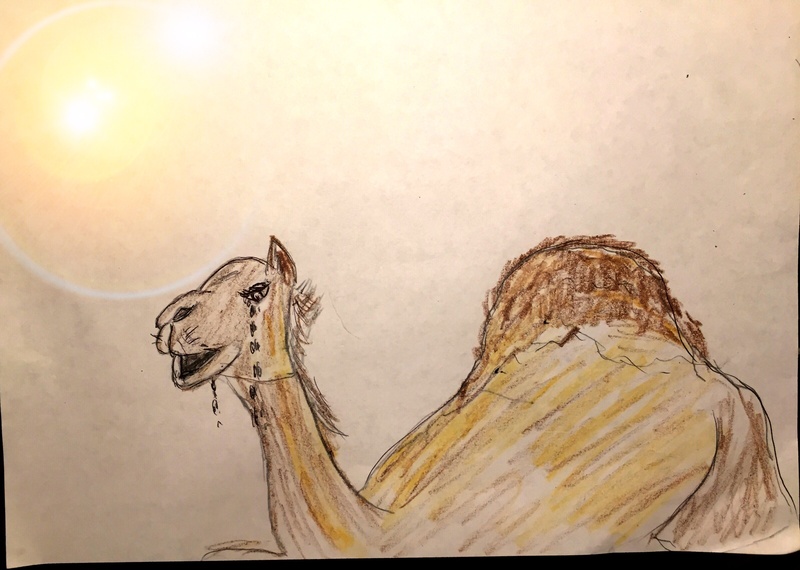 The camel heard the animals cry for help and ran to help them. He told them, ” Don’t panic. If we work together we can get out of this mess. Some of you climb on to my back and I will quickly take you to that hill and leave you there. In the meantime, the rest of you help each other. The smaller animals climb on to the back of the big animals and wait for me to come back.” The animals did what the camel told them to do. 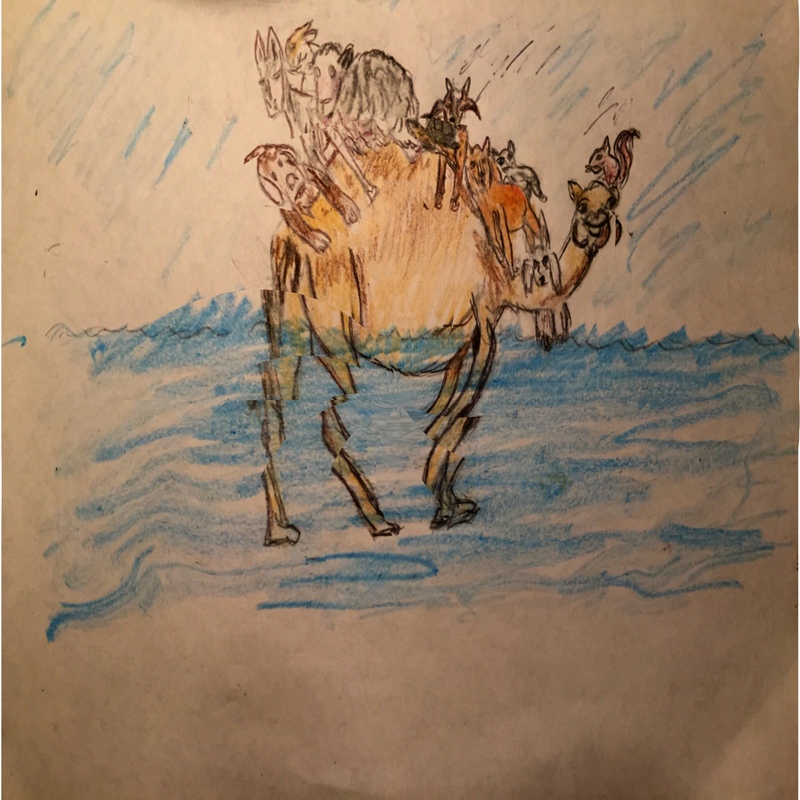 The camel made many trips carrying the animals on his back till everyone was safe. The next day the rain stopped and the sun came out. 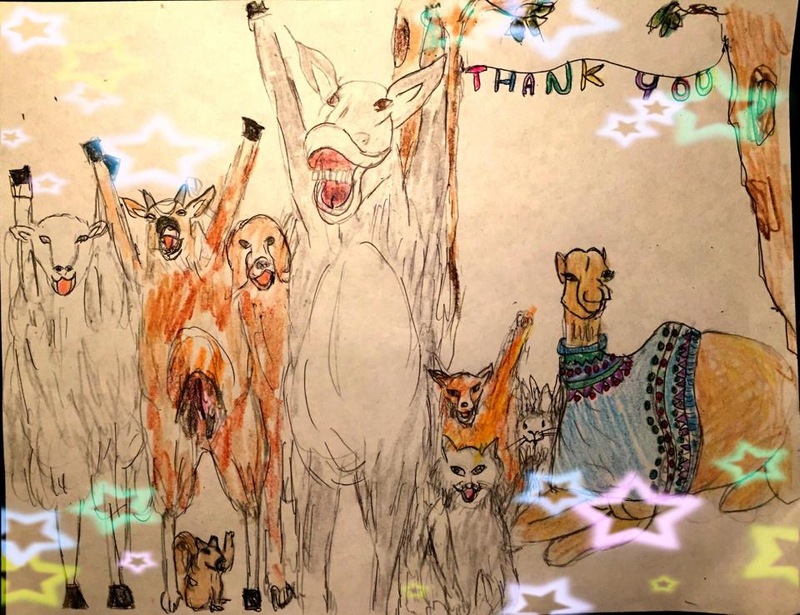 All the animals were very happy. However, the camel had got a cold and was sneezing away. 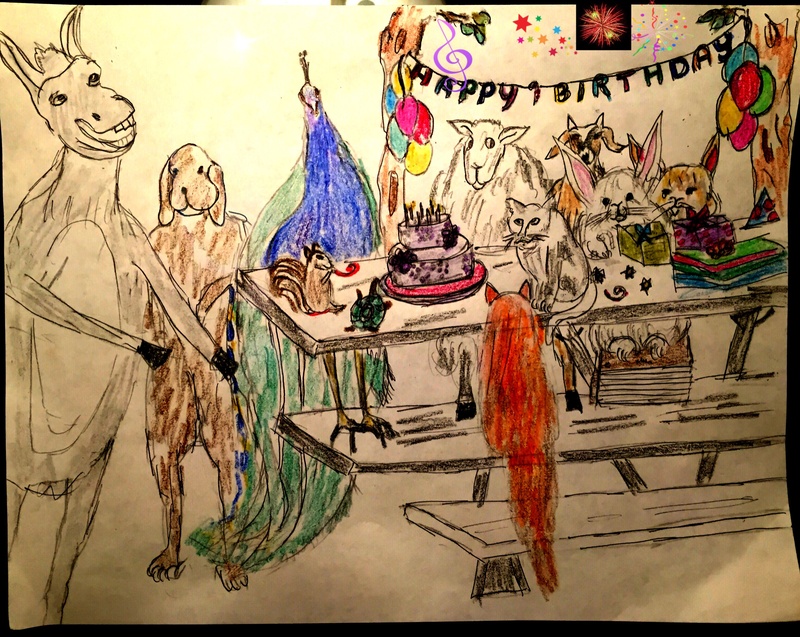 All the animals got together and decided to throw a big ‘ Thank you,’ party for the camel. Only the peacock was not invited. The camel was the chief guest. Everyone brought gifts for the camel. The goat brought him her fresh milk, the rabbits brought him carrots and nibbled away at them and the dog brought a big bone and chewed on it throughout the party. But the best gift was brought by the sheep who knitted a sweater for the camel from her own wool. She had remembered how the camel had caught a cold by making so many trips in the rain to save them. The camel was very happy that he had so many friends. That is why it is important to remember that it is not your skin but your skill which is important. And when you make friends look at their skills and not their skin. The best skill in the world is to have a helpful nature and to give a helping hand.